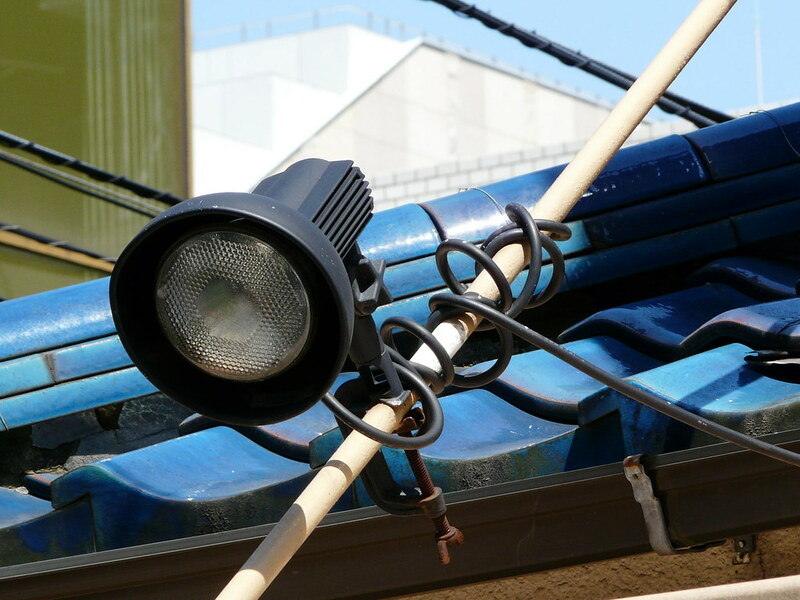 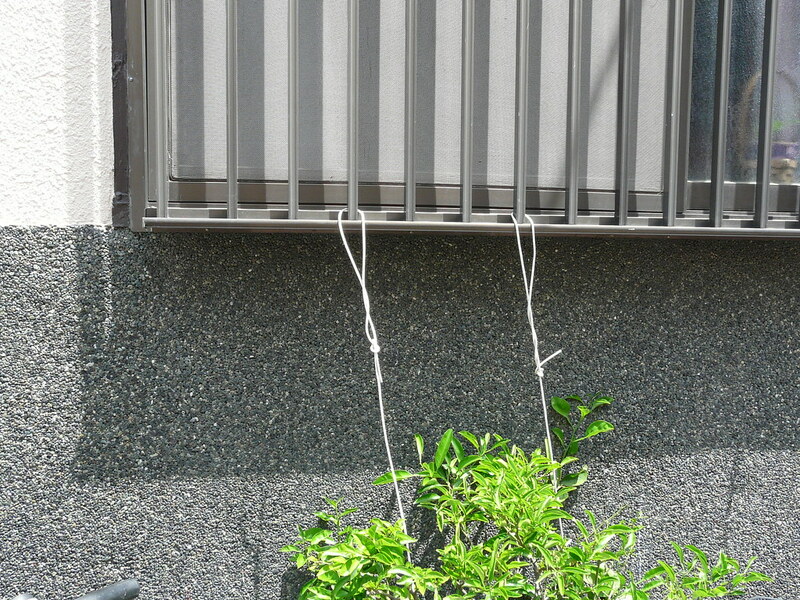 Exterior lighting constructed from the cord of a portable spotlight fastened to a plastic pole leant against wall and supported by overhang. 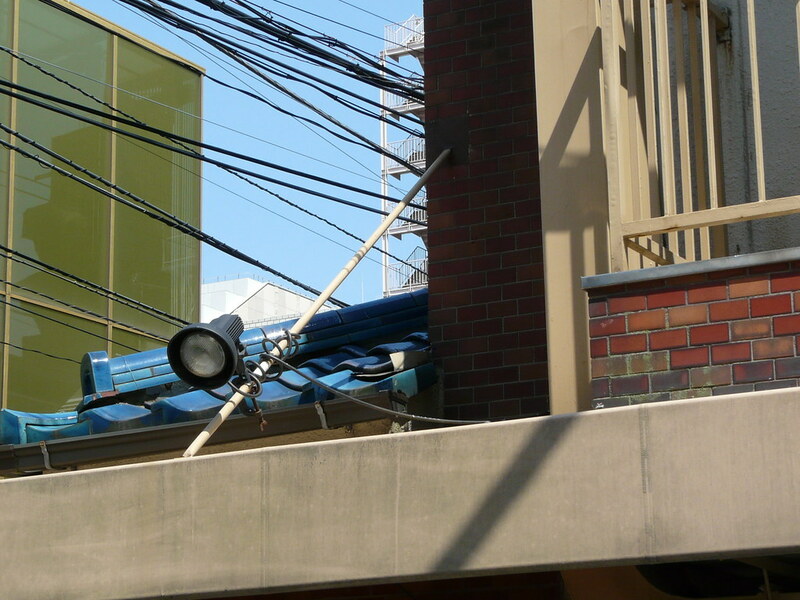 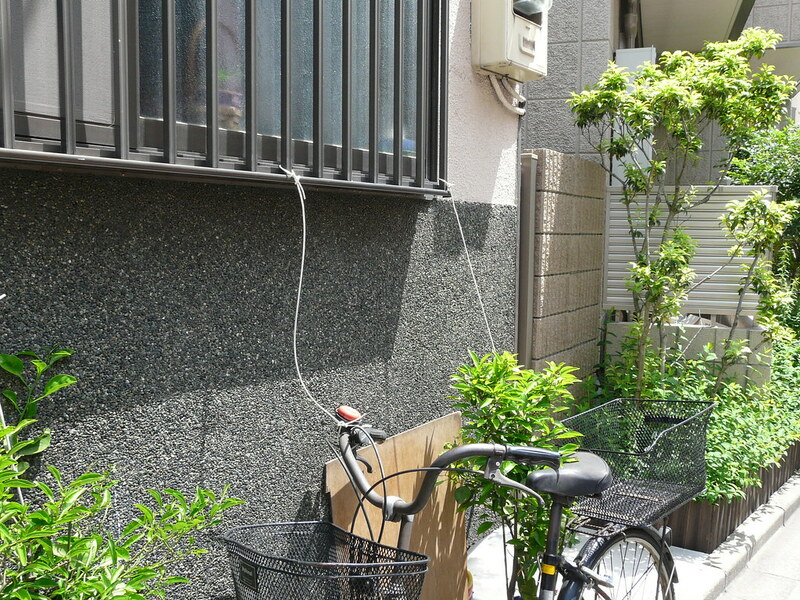 Electrical cord wrapped around pole takes up the slack and provides a saftey net in case of pole slippage. 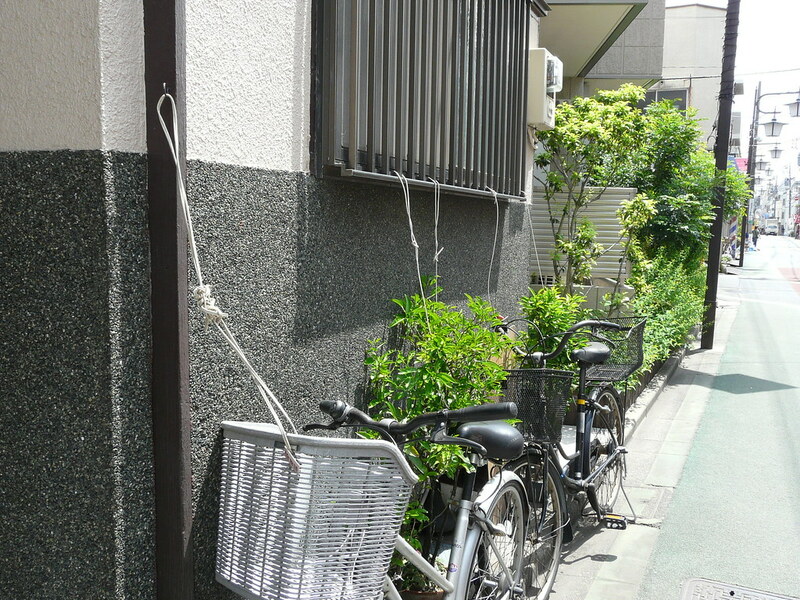 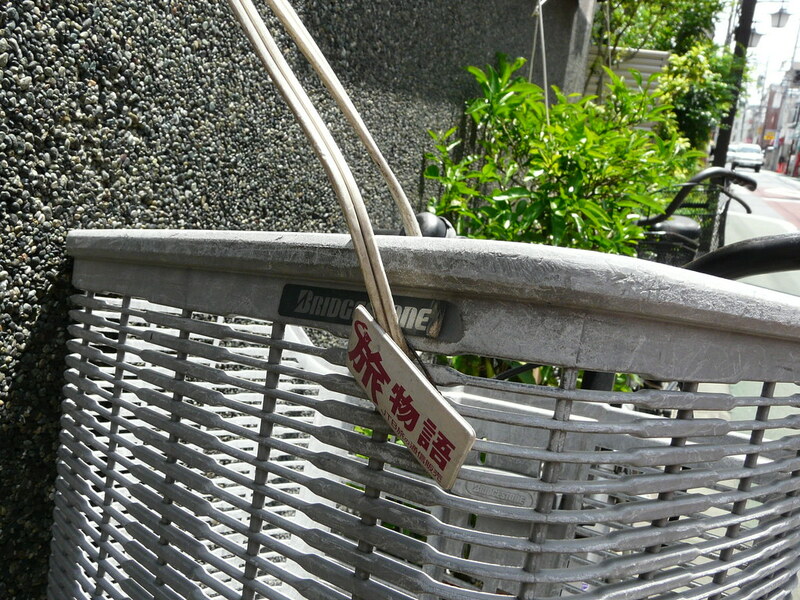 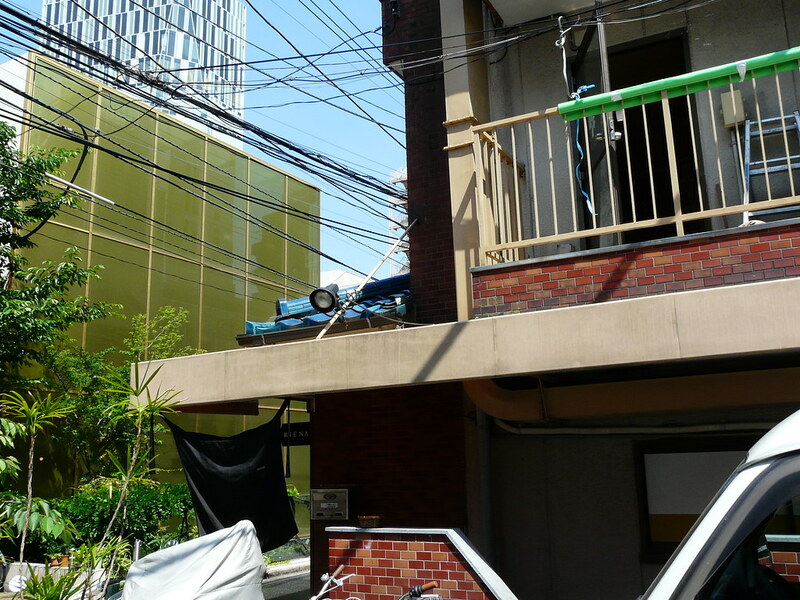 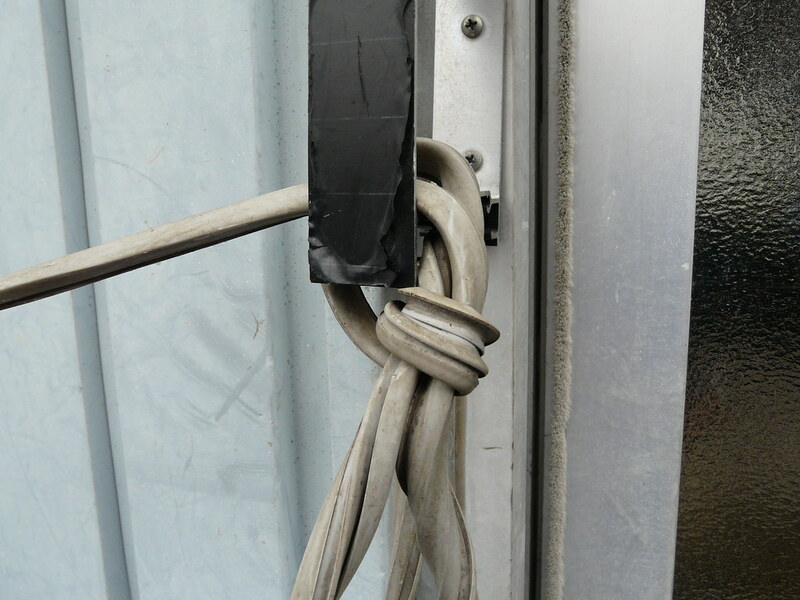 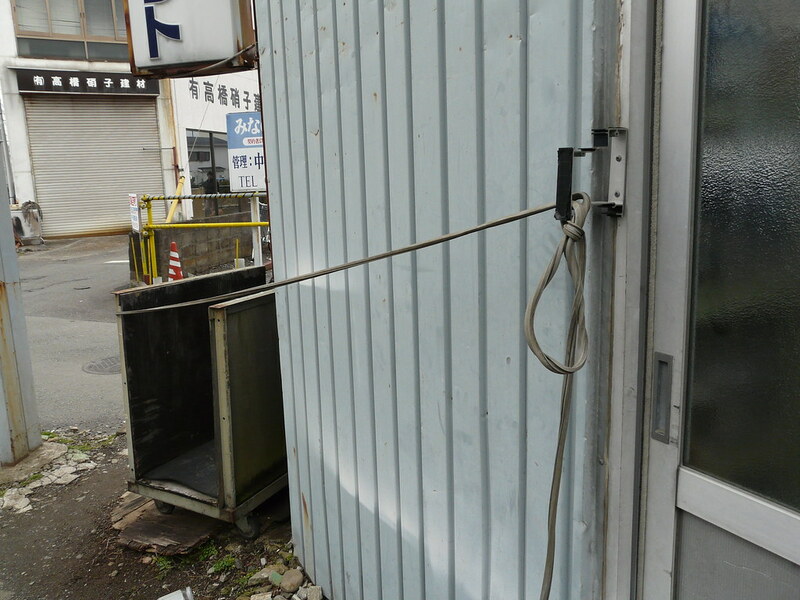 Bicycles and plants secured with heavy duty electrical wire tied to hooks and window grill. 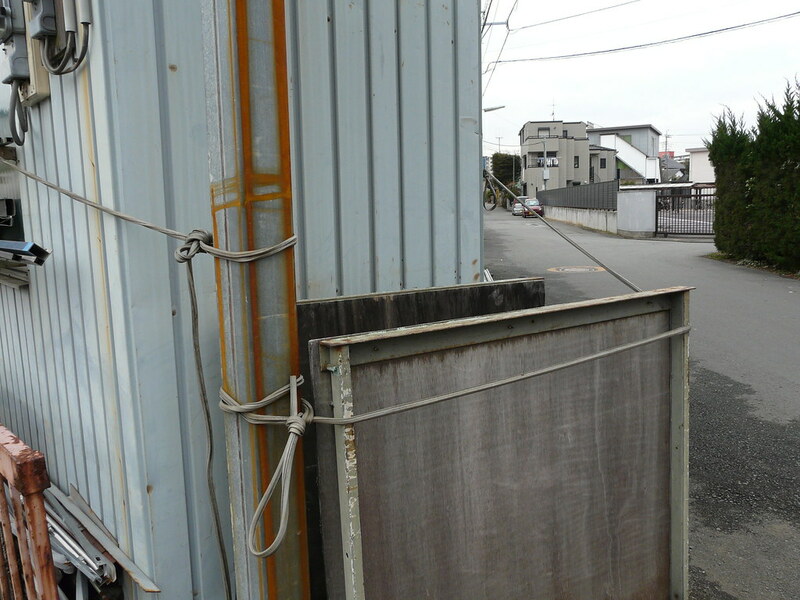 Outdoor storage for a workshop constructed by strapping trolley to side of workshop with electrical cord.